6 teams of students from universities in Denmark got 1 month to design, create and present a 3D computer game. I was the game designer on one of the teams, and I wanted to explore how the traditional FPS avatar could be shattered into a controllable swarm of entities. 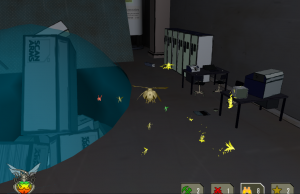 So instead of a human character with a large arsenal of weapons, scopes, goggles, and remote controlled explosive charges, we ended up with a swarm of gene-tailored flying insects following their queen bee in her exploration of the abandoned underground facility where her species had been created. The swarm consisted of different insect types, each of which had a special ability that was needed to solve one of the level’s four different obstacles. This project was a great learning experience, although in hindsigt perhaps the concept was a bit too ambitious and complex for a one-month project. But hey, what do you do as a young game designer, when you’re suddenly offered 4 programmers, 4 animators, an art director, game artist, sound engineer, and a producer for a full month? The Queen Bee and her swarm, hovering in the abandoned lab. 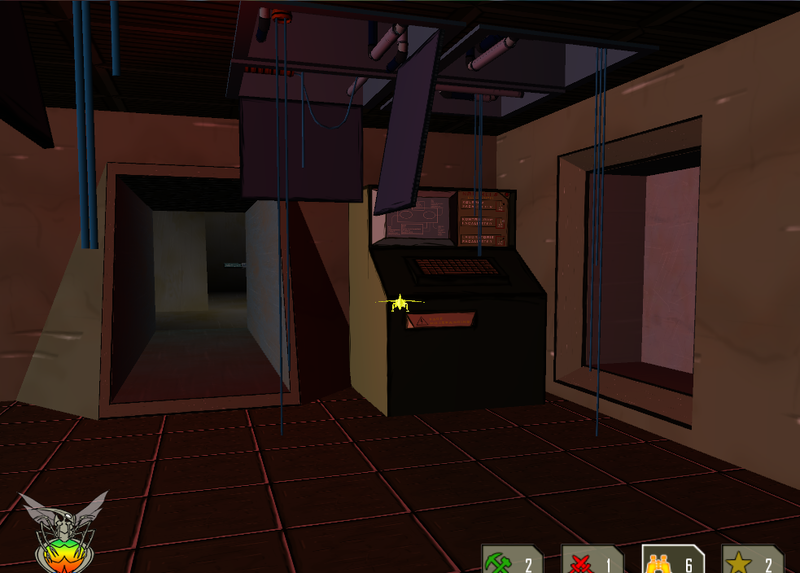 The yellow Scout bugs are nimbler and faster, and can get access to otherwise restricted areas, such as this control room.